29.10.2012. “The occupancy rate at the Sheraton Metechi Palace Hotel is more than 80 percent over the whole year. This has been the best year for the Hotel,” claims Andreas Heidingsfelder, General Manager at the Sheraton Metechi Palace. “More and more tourists are coming to the country and luckily many of them stay with us,” he told The Financial last week. Q. From your point of view, how will the recent change of government influence the hotel business? A. We can’t say for sure yet, but we will soon see. Leisure tourism has been going up over the past several years as a result of the country’s politics. The government has been actively promoting Georgia as a country for tourists to enjoy. I hope that this trend continues. 29.10.2012. (HTN - Hvino Tour News). 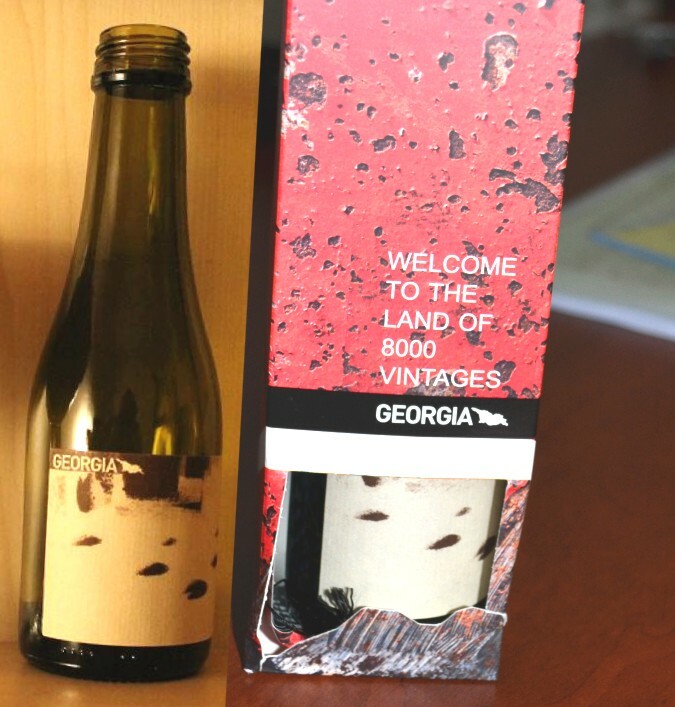 Hvino TOUR News is pleased to offer to its readers the Wine Map of Georgia. This map was made available to us by the author Mr. Wojciech Bosak, who kindly provided the map and gave us permission to publish his material. Mr. Wojciech Bosak is wine journalist and writer from Poland. When asked him why he decided to make the Georgian wine map, Wojciech's answer was very simple: "Previously I published several articles on Georgian wine, and when I wrote the the last one about Georgian wine appellations I just needed a map. That is the story". 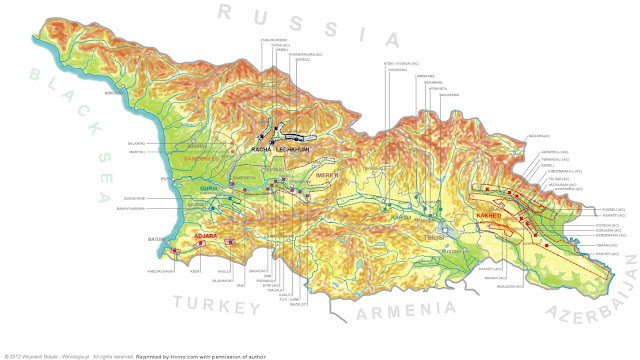 You may find the map in our section Maps, and in section Appellations of Hvino News, our sister news site on Georgian wine. Comments from wine experts about the map are always welcome. HTN would like to thank Mr. Wojciech Bosak for his contribution. © HTN (Hvino Tour News), © Wojciech Bosak. 26.10.2012 (HTN - Hvino Tour News). 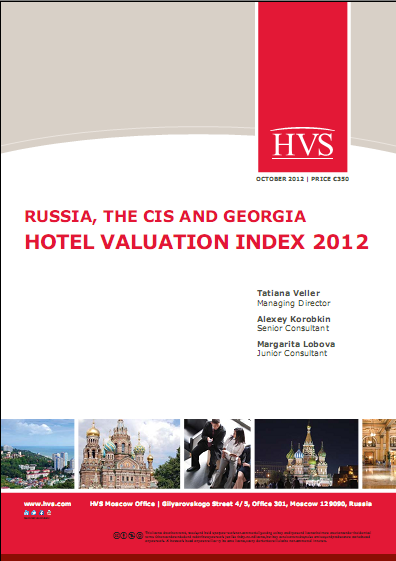 Leading hospitality services consulting firm HVS has published its 2012 Hotel Valuation Index for Russia, CIS and Georgia. This Index presents historical and forecasted value trends across 14 markets in former Soviet Union countries including Georgia, giving operators, investors and owners a clearer view of the region from a valuation perspective. 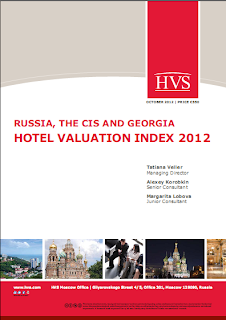 According to the study, Tbilisi hotel market demonstrated a 14% increase in 2012 versus just 1% in 2011. Performance of hotel market in Tbilisi is called as strong, allowing to move up three places since last year, recording a per room value at approximately €177,000. Tbilisi behaved exceptionally well in the value ranking, going up to 7th place, while most of the other markets maintained their rankings. "Improved operational performances allowed Tbilisi to climb into the top three markets by increase in value in 2012 (14%), from €155,000 to €177,000", - point out the authors of research. "Improvements in the economic environment and investment climate in Georgia, coupled with cancellation of the visa regime for EU, US, Canadian and CIS countries' citizens assisted in developing the tourism industry. The growth in demand has offset the 11% increase in room supply in Tbilisi and resulted in a noticeable increase in occupancy (up 14%)." HVS has forecast hotel values in Tbilisi to improve in the medium term, reaching approximately €262,000 per room in 2017. 25.10.2012. Adjara, located in Georgia’s Black Sea region, saw an increase of around 31 percent in the number of visitors in the period between January and September of this year compared to 2011. The number of tourists in Adjara reached 1, 403,201 this year and according to the Department of Tourism and Resorts of Adjara Autonomous Republic, this number represents a rise of 68.7 percent from 2010. From January-September 2012, arrivals of non-resident visitors to Adjara reached 693 645, which is 83.1% higher compared to the same period in 2011. 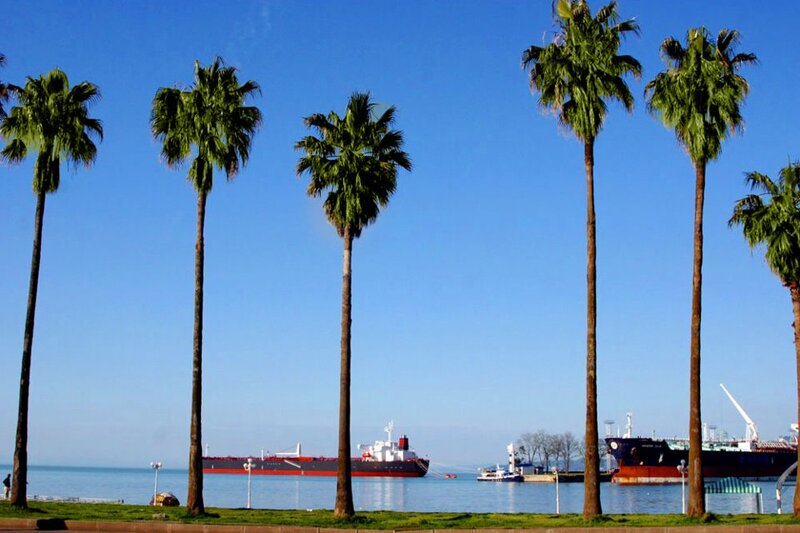 The department reports that the biggest share of non-resident visitors came from Turkey and constituted 38.9%. The statistics show that Turkey is followed by Armenia with 14.5% of non-resident visitors, Iran at 10.1% and Azerbaijan at 8.6% of non-resident visitors. 25.10.2012. The hotel rooms in Gudauri and Bakuriani have been already booked for the New Year holiday. Mostly foreigners book rooms two months before the New Year. The Head of Bakuriani Tourism Information Center Marika Mankieva informed that the prices in the resort will be similar to last year’s. In particular, service in Bakuriani family hotels costs 25 - 35 GEL without meals, while the rest with 3 meals a day - 55-80 GEL. The prices of the rooms in hotels start from 120 GEL. The hotel rooms have been already booked for New Year by Azeri, Armenian, Ukrainian tourists. Among customers are also the locals. As Mankieva explains us, the season is expected to start from December 15, while new projects are not planned. The season in Gudauri will begin on December 15-25. Prices in family-type hotels start from 35 USD. According to the hotels, foreign tourists have already booked the rooms. For 2013 winter season roads and drainage system will be fully renovated in Gudauri as well as 45 buildings are planned to be completely rehabilitated. 23.10.2012 (HTN - Hvino Tour News). Whether tourism will remain a priority for the new government in Georgia, is still unknown, said Maia Sidamonidze, director of National Tourism Agency to Kommersant FM. In her words, she has not met the new candidate for ministerial post and therefore she doesn’t know whether tourism issue is a priority for the new government. Sidamonidze explained that it is also unknown in what form the agency will continue working. Sidamonidze notes that plans for the coming year are likely to be revised. Head if National Tourism Agency suggested that a meeting with the new minister to be held next week. the monastery where wine has been made for 1,500 years. 23.10.2012. It’s midday in the vineyards above the Rioni River. There’s a sleepy hum of insects in the warm air. Murad Vatsadze is negotiating the steep mountain path in a pair of blue flip-flops. Above him, the cultivated slope thins out into alpine meadows, where the tinkling of cowbells can be heard on the freshening wind. We are high up in the foothills of Georgia’s Caucasus mountains. Beneath us lies the curling valley and mile upon mile of vineyards. Murad is showing me the vines that his greatgrandfather planted here 100 years ago. This south-facing slope gets day-long sunshine, and even at 1,700 metres up, grapes still thrive. Vines strung out along wires are heavy with two local varieties: alexandrouli and mujuretuli. He then leads me into the cool darkness of the family’s marani, or wine cellar, which abuts their sprawling house. Murad’s family have been making wine for as long as anyone can remember. The wine press is a hollowed-out tree trunk. The grapes are trodden within it and the juice that flows out is channelled down wooden pipes into holes in the cellar floor. 22.10.2012. The Baku-Tbilisi-Kars railway more clearly turns into the route of the historical Silk Road as far as the construction process reaches its completion. The project was originally designed to connect the transportation systems of Azerbaijan, Georgia and Turkey. Already it is gaining the interest of a growing number of countries wishing to join the route. The project was initially supported by Kazakhstan and China. They expressed interest in transporting their products to European markets via this route. At present Turkmenistan and Uzbekistan are seeking to implement the Navoi-Turkmenbashi transport corridor by joining the Baku-Tbilisi-Kars railway and Afghanistan which is considering the transportation corridor to the Black Sea through Turkmenistan, Azerbaijan, Georgia and certain part of Turkey as an alternative route to the sea ports, has joined them. 23.10.2012. Georgia, a country with a population size less than half of its namesake state in the United States, has been developing at an impressive pace during the past decade. But the path to economic growth has not been easy. Georgia is one of the so-called “newly independent states,” which became independent after the collapse of the Soviet Union in 1991. Since then, and throughout the 1990s, the country has gone through a tough period in its brief post-Soviet history, struggling with civil unrest in the regions of Abkhazia and South Ossetia and economic difficulties. The capital of Georgia is Tbilisi, which is situated on the banks of the Mtkvari River in the eastern part of the country. Tbilisi also is the largest city in Georgia both in terms of its area and population with approximately 1.5 million people, comprising almost 26% of the population of the entire country. 22.10.2012 (HTN - Hvino Tour News) National Geographic Magazine is the official journal of the National Geographic Society, one of the world’s largest nonprofit education and scientific organizations. Published in English with 33 additional local-language editions, the magazine has a global circulation of approximately 8 million copies. Joining its ranks as the 34th local-language edition National Geographic Georgia is sponsored by the telecommunications company Silknet and led by Editor-in-Chief Levan Butkhuzi. A magazine launch event was held at the National Museum of Georgia on the 22nd of September this year. The launch was attended by Mr. Terry Adamson, Executive Vice President of the National Geographic Society, members of the Washington editorial team and National Geographic photographers. Speeches were delivered by Mr. Richard Norland and Mr. Carlos Asfora, the US and Brazilian ambassadors respectively, as well as by George Ramishvili, Head of the Board of Silk Road Group, Mr. David Lordkipanidze, Head of the National Museum of Georgia, and members of National Geographic editorial team. 21.10.2012. After a major restoration effort, the Black Sea resort of Batumi is being promoted as the next hot destination, offering the amenities of coastal Europe without the crowds. From a neglected pothole of a place that lacked running water and reliable power, historic Batumi has been transformed with an architectural face-lift and a string of luxury hotels. Visitors are receiving a warm welcome from locals eager to demonstrate the charms of their once-bleak nation, part of the former Soviet bloc. It remains to be seen whether Georgia can attract the jet set, but the initial investment seems to be paying off: Tourism in Batumi has jumped and added several thousand jobs to a struggling local economy. 17.10.2012. Decrease in air ticket prices is expected in the Georgian market. According to sector representatives and experts, new airports and airlines which help in Georgia’s turning into the aviation hub will cause the drop in prices of tickets. The head of Airports Association announces that taxes in Kutaisi airport are very low, so the tickets will be cheaper than in other airports. Ketevan Aleksidze explains “Financial” that “their strategy’s goal is the trend to cover the whole aviation market. Air ticket agency "APG" states the air ticket prices will be reduced by 20-25% in the near future. A part of airlines operating in the Georgian market also talk about a drop in tickets prices. "Pegasus" Georgian representation informs that they have already reduced ticket prices in Batumi airport. Note: In total 20 airline companies are operating in Georgia today, two of them are Georgian. The main directions are Turkey, Ukraine, Russia, Germany, Italy, Spain and the Czech Republic. 18.10.2012 (Hvino News) So-called "Chacha Tower" with a unique spirit fountain was opened today in Batumi, Georgia's Black Sea resort town. Batumi's Mayor Jemal Ananidze and Prime Minister Levan Varshalomidze were present at the ceremony. (Read also: Chacha fountain to be launched in Batumi before September). Chacha is a strong Georgian spirit, sometimes described as grape brandy or grappa. "It will be a tower fountain, where instead of water the Georgian chacha will flow, and everyone - our citizens, foreign visitors and tourists - will have the opportunity to taste it," - said the chairman of the City Council of Batumi Giorgi Kirtadze in March 2012, when the plans of Chacha Tower became known. Mr. Kirtadze then noted that chacha will flow once a week for 15 minutes, but today at the opening ceremony the public was offered to drink chacha not from the fountain, but from a special dispenser. Construction of 25-meter Chacha Tower costed around 800,000 Georgian Lari (around 500,000 USD) to Batumi City Hall, which financed the project. Tower was constructed in traditional style. In addition to the fountain it will host a tourism information center, outdoor swimming pool (with no liquor though) and other facilities. You may watch a video of opening ceremony (in Georgian language) by visiting this link. 17.10.2012. Perched on both sides of the Kura River is Tbilisi, the Georgian capital. Today, the country is predominantly Christian. Once upon a time, as the center of the Emirate of Tbilisi, Muslims ruled here. 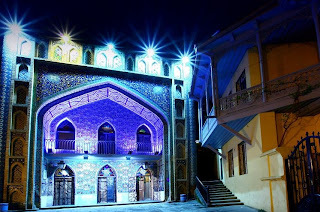 Though Georgia first came under Muslim rule in 645, during the reign of Caliph Omar Ibn Al-Khattab, the Emirate of Tbilisi was not established before 736. Its center, Tbilisi, grew into a prosperous city thriving on commerce. Arabs were the first Muslims to rule over much of Georgia and the greater Caucasus, until the balance of power shifted toward the Turks. Muslim rule over the Emirate of Tbilisi came to an end in 1122, when a year earlier Turks lost a battle to the Georgian king David IV. 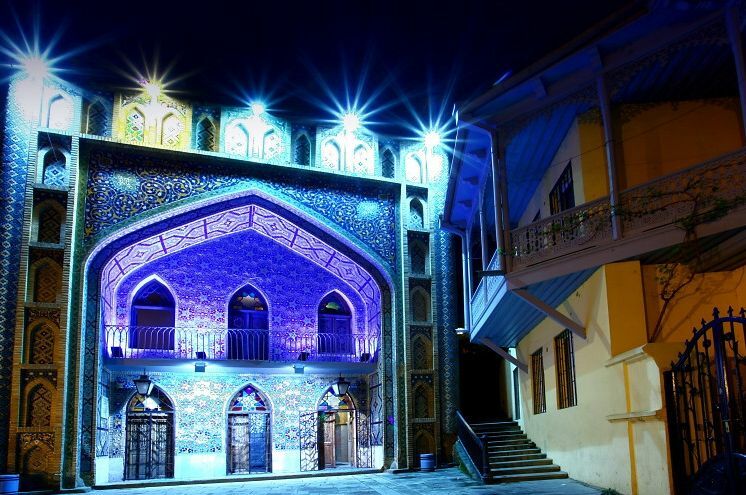 The heydays of the Emirate of Tbilisi are long gone, but there are still traces of Islamic heritage in the city today. 16.10.2012. Georgia's Black Sea resort of Batumi was once a bleak site: Roads were dotted with pot-holes, the city was pitch dark at night, running water was scarce and the city's best hotel was infested with rats. Today Batumi glitters with neon lights and luxury high-rise hotels dot its skyline; soon the city will even boast a fountain flowing with Georgian grape vodka. 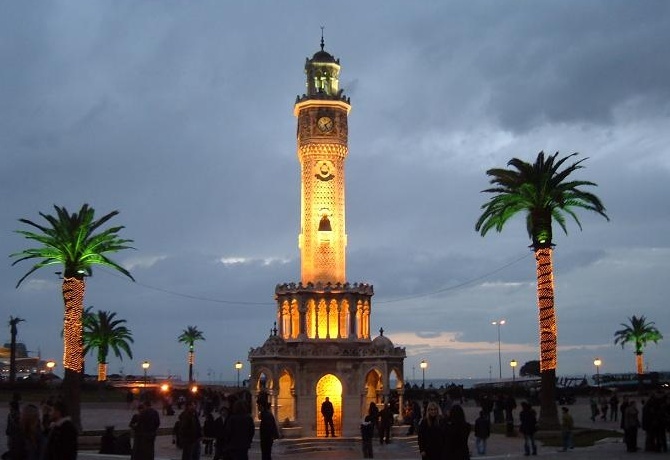 (Read more: "Chacha Tower" with spirit fountain opened in Batumi). The transformation of the ancient city of 180,000 near the border with Turkey is a vivid example of Georgia's drive to capitalize on its tourism potential, boosting the economy of an ex-Soviet nation where roughly one person in five lives in poverty. The government has attracted top foreign investors, such as U.S. real estate magnate Donald Trump, to build hotels and develop and renovate tourist sites. And it has aggressively marketed Georgia as a tourism hot spot. The project capitalizes not only on Georgia's geographical riches — the Black Sea, the soaring Caucasus mountains and its ancient cities — but also on the very essence of the Georgian culture: hospitality itself. Here, refusing to come into one's home and sitting down at a food-laden table can result in deep personal insult, while declining to toast with traditional Georgian wine can prompt reprimands like, "Don't you respect me?" 10.10.2012. Nervousness was in the air the other afternoon when my S7 Airbus, packed with Russian tourists, touched down at Tbilisi's international airport. The tourists walked down a sparkling glass corridor to a terminal that Russian bombs narrowly missed four years earlier during the war with Georgia. They meekly lined up in the no-visa line at passport control. Crisply uniformed Georgian immigration officers sitting in glass booths carefully inspected each red passport, embossed in gold with the double-headed eagle. Each border control officer reached under his desk and, with a practiced move, returned every passport with an unexpected object. It was a 200-milliliter bottle of red wine, packed in a crimson gift box and stamped: "Welcome to the Land of 8,000 Vintages." "Welcome to Georgia!" the officers repeated in Russian, offering unrehearsed, centuries-old Georgian smiles. Despite the warnings of the Kremlin nanny state, Russian tourism to Georgia is booming.